1. What’s been your biggest takeaway from working with me? "Not to compare myself to others on the journey- try and be the best version of myself. Also very that no one is perfect and not to turn 1 or 2 bad days into throwing in the towel. The only way to fail is to give up." 2. In your opinion, what has been your biggest accomplishment physically and mentally? "Finally being able to break out of the high 170s (I had been stuck in for over a year) without doing hours of cardio or starving myself. 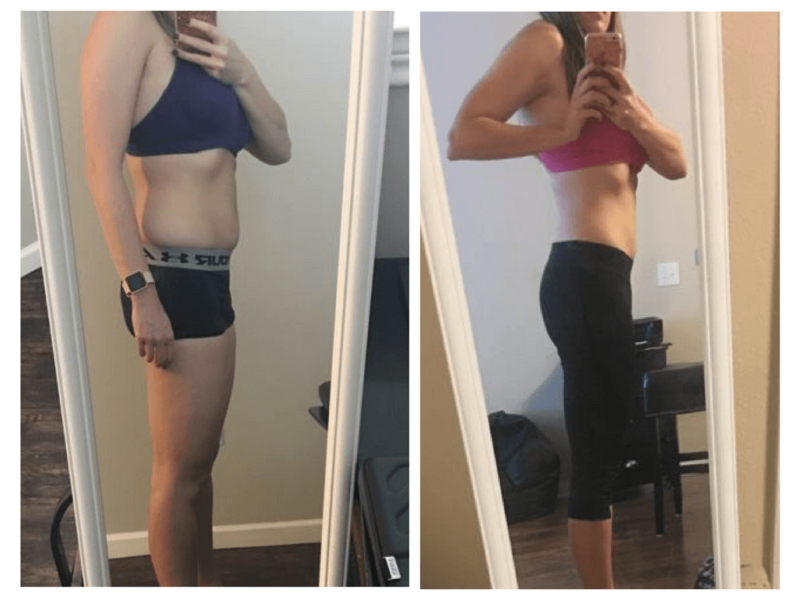 Mentally- you've helped me develop confidence not only through getting stronger with strength training, but teaching me a nutrition strategy that is something I can maintain for life (calorie and macro tracking)"
3. What was your favorite part about working with me? "My favorite part working with you has to be the fact that you've been there (overweight). Also, the fact that you were easy to get ahold of made it so much easier to stick to my goals. Having someone there to answer my questions and make sure I was doing everything right was so incredibly reassuring." Even with a busy work schedule (that required her to move to a new location), Whitney went "all-in" on my nutrition advice and strategies. As a result, she learned how to make her fitness priorities work in her life. She was able to lose fat, build muscle, and tone up - all while eating out at restaurants and drinking on the weekends with her friends.